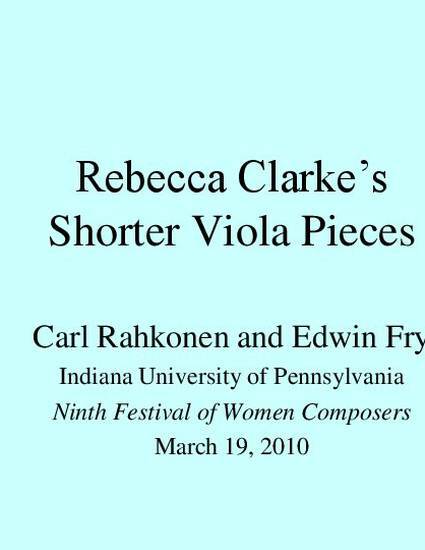 Lecture-Viola Recital: "Rebecca Clarke's Shorter Pieces for Viola and Piano." Ninth Festival of Women Composers, IUP.March 19, 2010, with Edwin Fry, piano. Lecture-Viola Recital: "Rebecca Clarke's Shorter Pieces for Viola and Piano." Ninth Festival of Women Composers, IUP. March 19, 2010, with Edwin Fry, piano.